Since 1947 the Ladder Association has been the hub of knowledge for ladder training and guidance. Our members include manufacturers, suppliers, training organisations and more throughout the UK and beyond. The Ladder Association training scheme is the best, fastest way to cut through all of the workplace confusion around what is and isn’t allowed when working at height. Putting a person through a half-day Ladder Association training course offers peace of mind that they will be able to work safely on ladders, and the LadderCard and certificate given on completion helps them prove it. Any organisation can apply to be a Ladder Association member. Being a member means having a voice within work at height, influencing the industry, training people with our courses, proving your professionalism and best practice to customers, being kept up to date with industry news, and many other membership benefits. Are you using your ladder properly? Is the ladder itself safe? Who should be trained to what level? Staying safe and on the right side of the law leads to plenty of questions, and we have the expertise to answer them all. 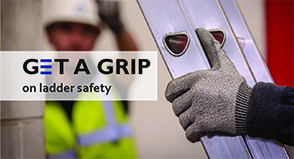 The Ladder Association is the voice of the industry and promotes the highest standards and competence, while working with major bodies including the Health & Safety Executive. 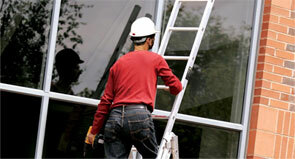 Our Advocate Scheme helps inform people using and managing ladders about the latest developments. Click here to find out about our Code of Practice, or here or a list of Council members, officers and staff.